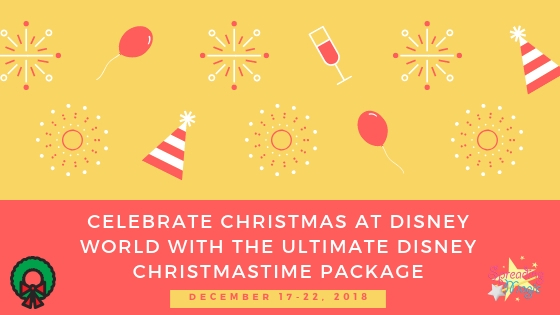 The holiday season returns to the Walt Disney World Resort on November 9 – and this year, it’ll be more magical than ever before at Disney’s Hollywood Studios with the addition of a new nighttime experience, new stunning decorations, the return of “Jingle Bell, Jingle BAM!” and more. Disney’s newest holiday nighttime experience – Sunset Seasons Greetings – will feature spectacular projections of Mickey, Minnie and other beloved Disney characters sharing their favorite Christmas stories as a snowy Sunset Boulevard twinkles with holiday decorations. 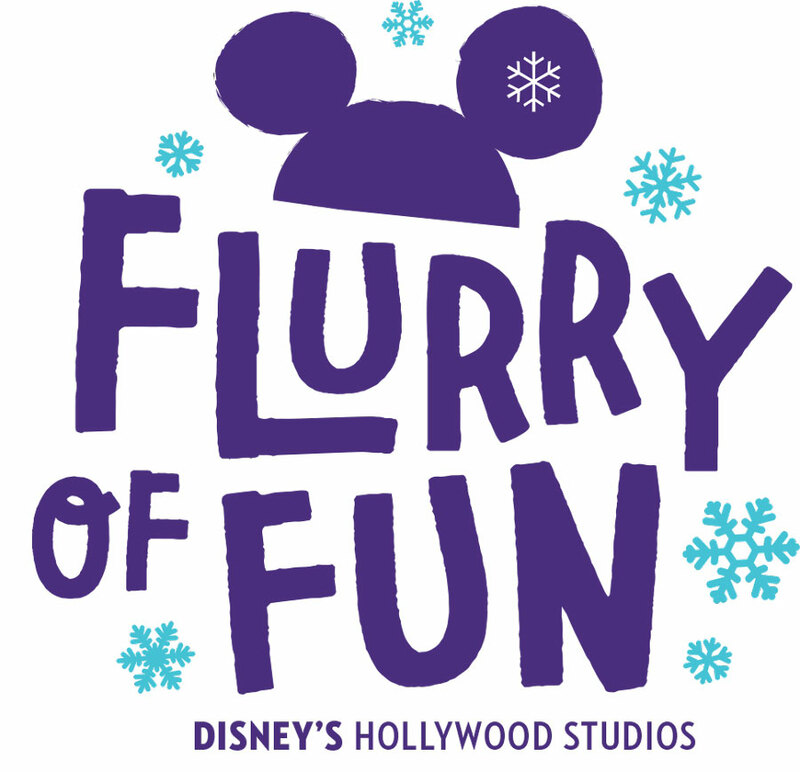 Billboards will come to life and the famous Hollywood Tower Hotel will transform into a pile of Christmas gifts, a gingerbread house and a frozen winter wonderland throughout the night. A summer-loving snowman might even make an appearance. This season, you’ll also notice enhanced holiday decor around Echo Lake at the park. Colorful garlands and a giant Christmas tree centered on the water will make Echo Lake the merriest of places this holiday season. Even its famous Dinosaur will be dressed for the occasion with a dino-Santa hat. And the hit holiday show, “Jingle Bell, Jingle BAM!” is also returning and sending Disney animated characters on a spirited yuletide adventure to get Santa back to the North Pole in time for Christmas Eve. As many of you know, “Jingle Bell, Jingle BAM!” combines state-of-the-art projections, fireworks, special effects and Christmas music to create a dazzling, one-of-a-kind holiday experience for guests – capped by a special message from Santa himself. Santa Claus will return to the Once Upon a Time shop on November 9 through December 24 at Disney’s Hollywood Studios as well. Santa Goofy will step in after Old Saint Nick he returns to the North Pole December 25 – 31. 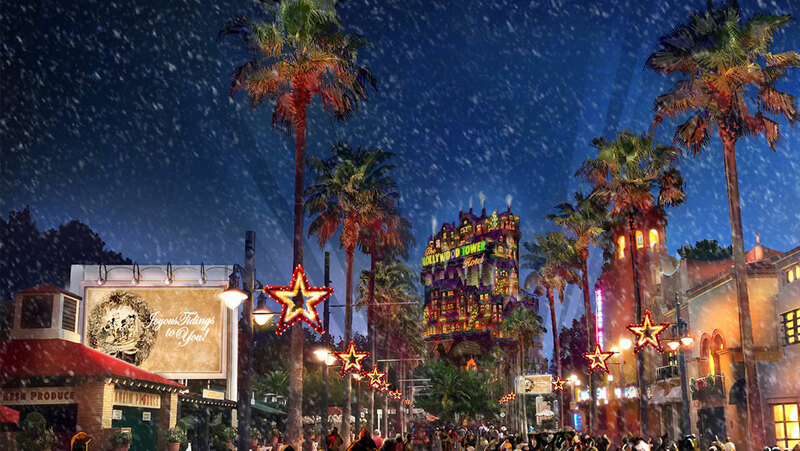 Are you excited to experience the new Sunset Seasons Greeting at Hollywood Studios? This entry was posted in Disney, Disney World, Florida, Orlando, United States, Walt Disney World Resort and tagged Disney World, Hollywood Studios, Jingle Bell Jingle Bam, Sunset Seasons Greeting on September 27, 2017 by siera.